Don’t touch those late 1930s Remingtons! They were made by strikebreakers! Scab labour, no less. 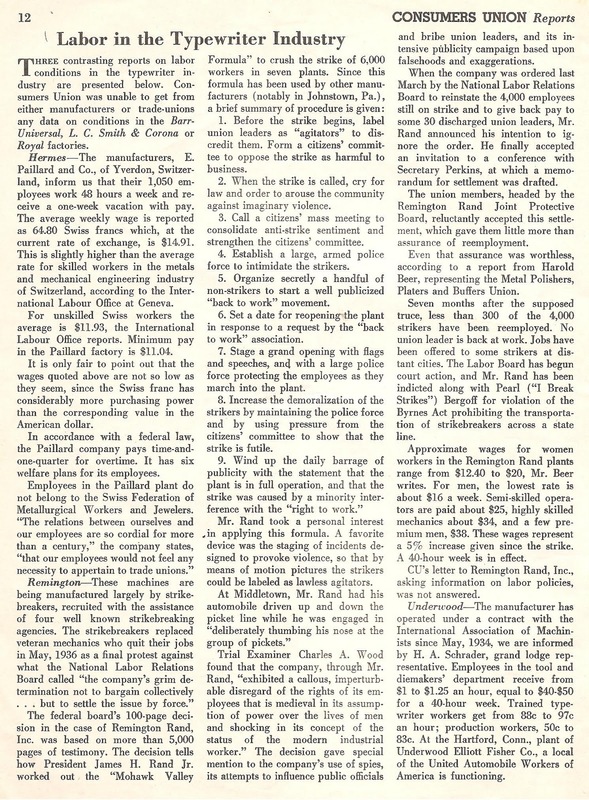 Well, at least that’s the claim of the November 1937 issue of Consumers Union Reports, a magazine published in Philadelphia by the New York City-headquartered Consumers Union of the United States. The issue covered “Test results on six brands of Portable Typewriters”, which I will scan in later. 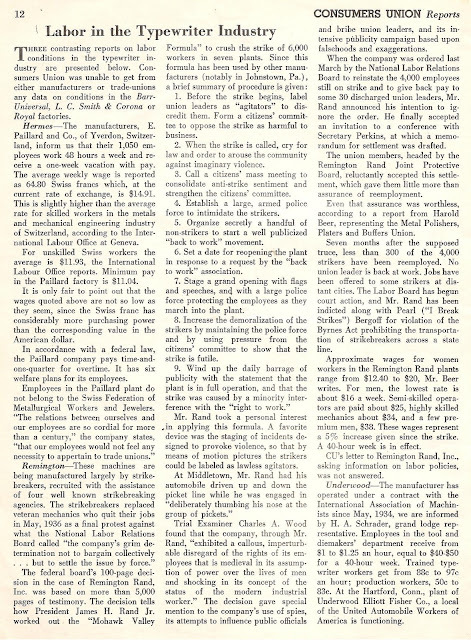 In the meantime, an adjoining article, “Labor in the Typewriter Industry”, looked at pay and conditions at three major international manufacturing plants - but in the main Remington, where "veteran mechanics ... quit their jobs in May 1936", threequarters of a century ago next month. A summary: Hermes - good pay, good conditions, everybody so happy they don't need a union; Remington – bad, bad Leroy Brown (or should I say the "callous ... medieval ... shocking" James H.Rand); Underwood – everything seemingly hunky-dory.